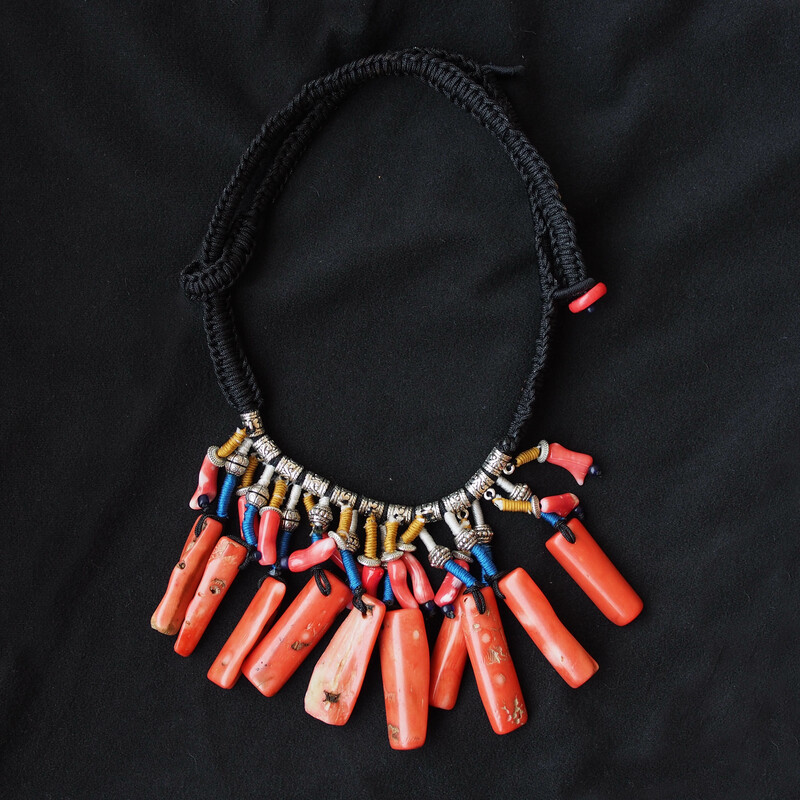 Looking for an unique piece of jewellery for this holiday season? 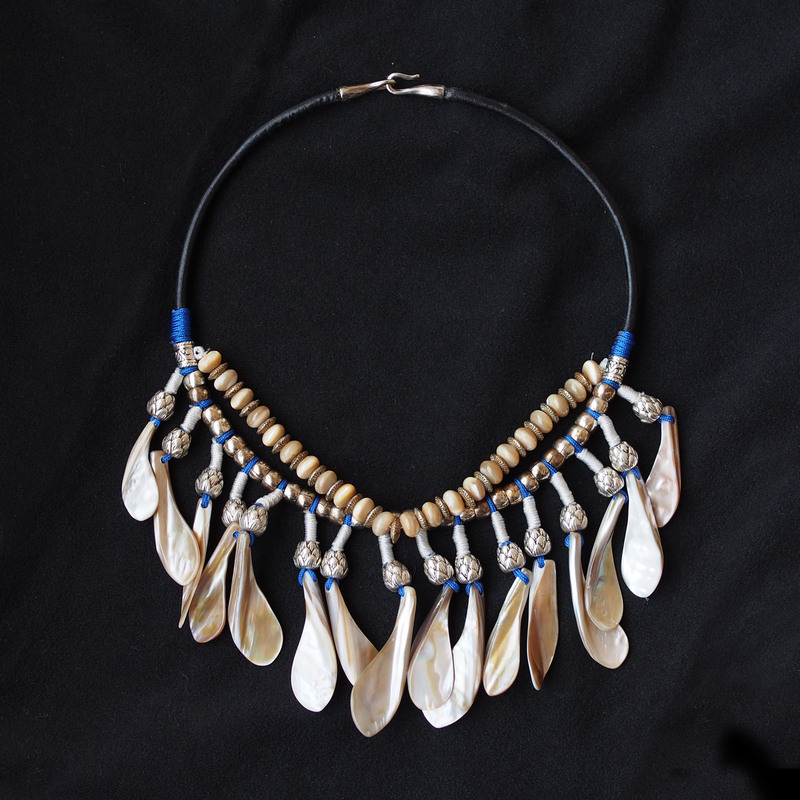 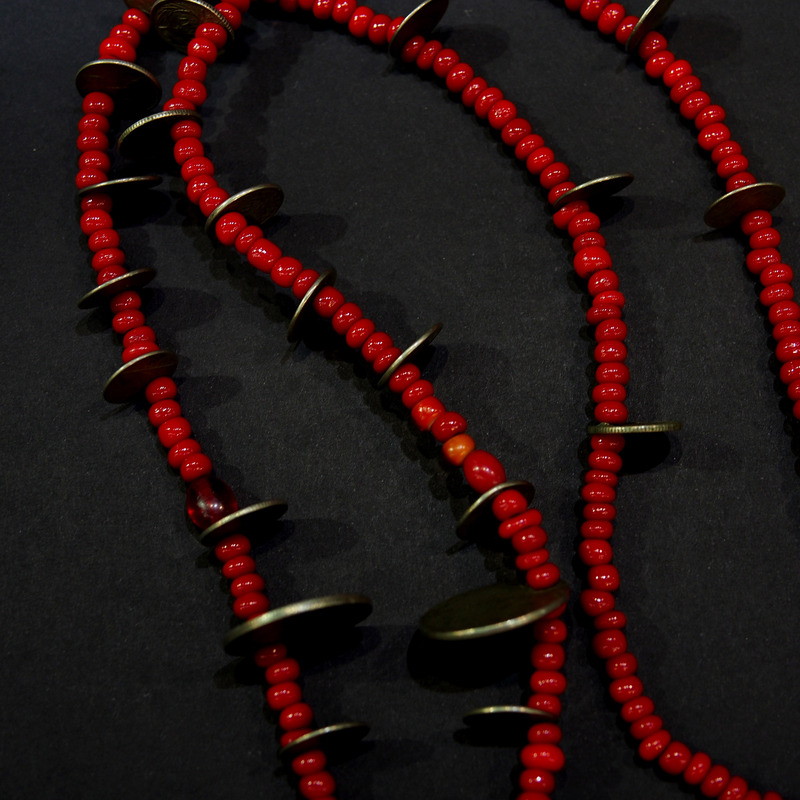 A handmade piece inspired by the Berber tribal jewellery. 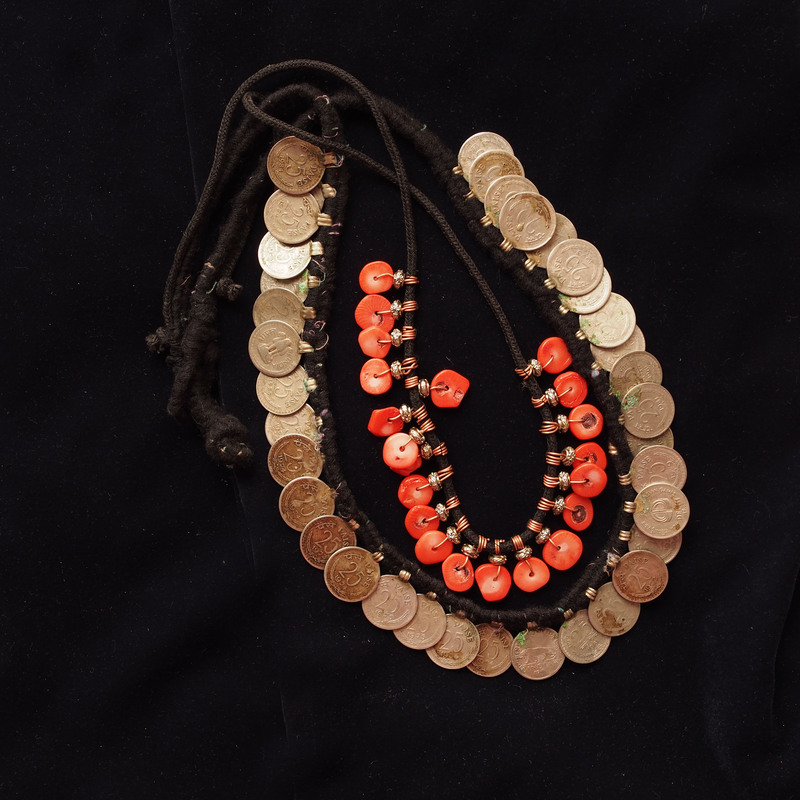 A necklace with coin as a pendent and coins placed at the interval of the beads. 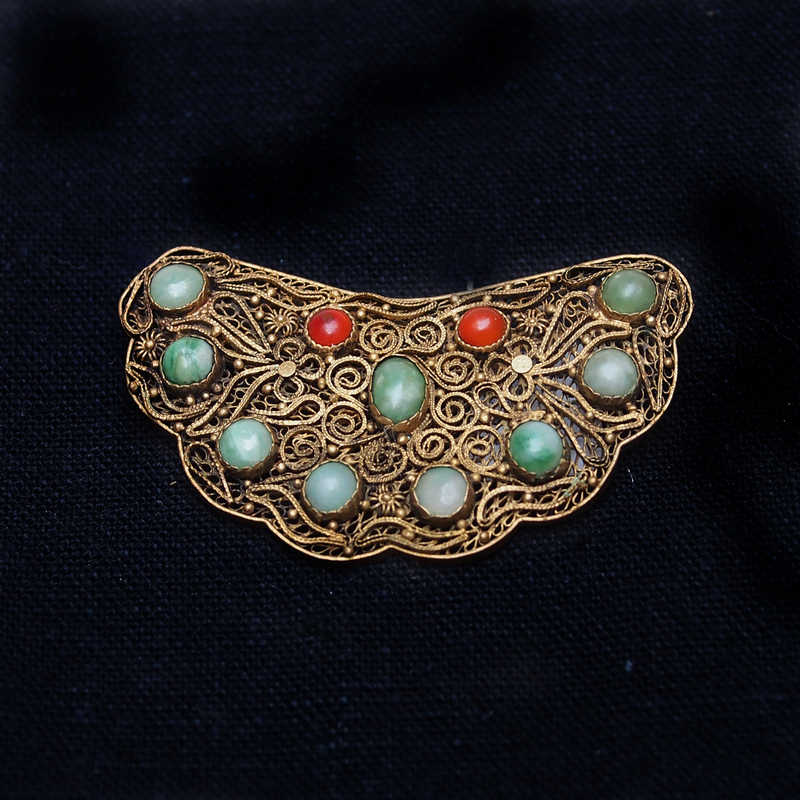 I found this piece to be very architectural. 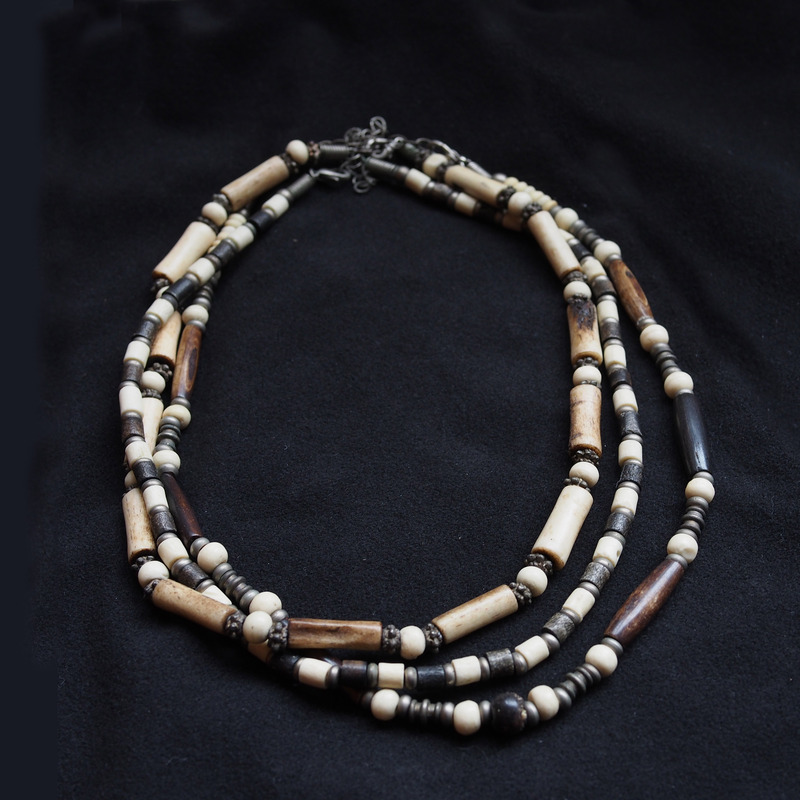 The only accessory you will need for a simple black dress. 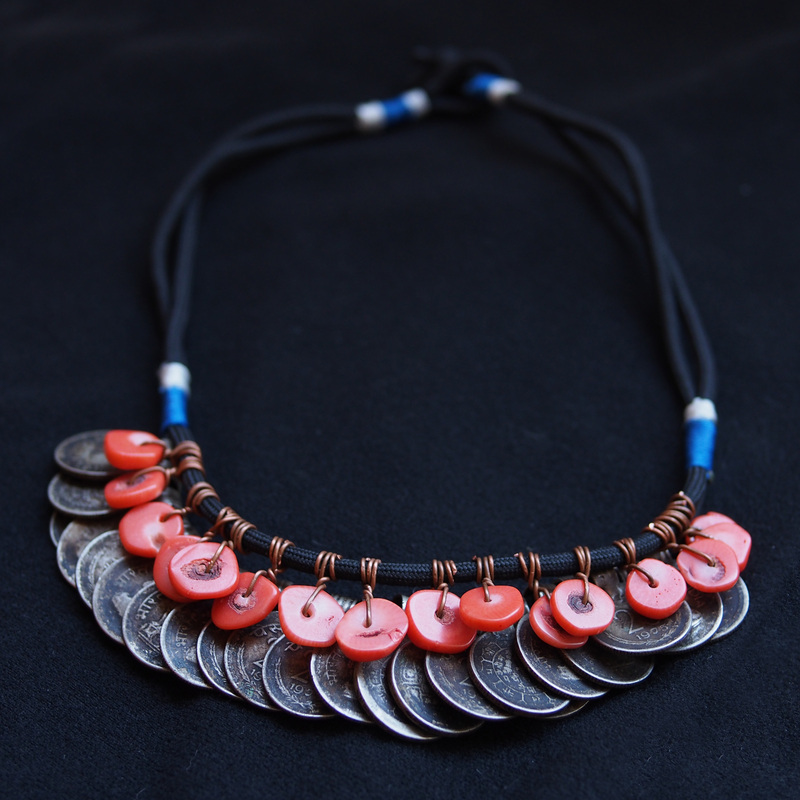 Another newly designed necklace lined with coin pendants. 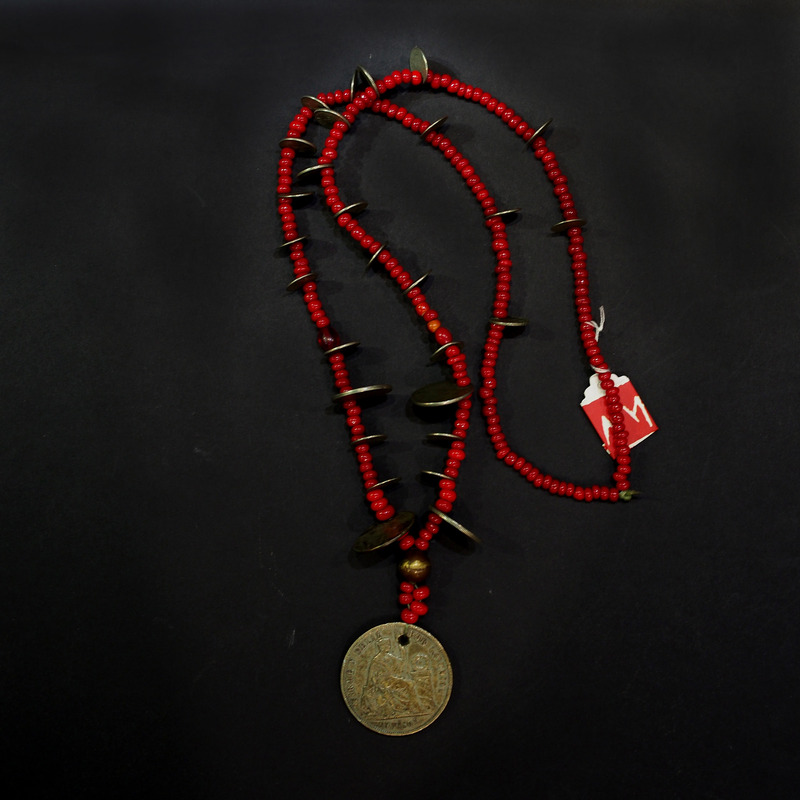 After its role in currency, coin has been used as jewelry decoration by the Egyptian soldiers as a kind of medal. 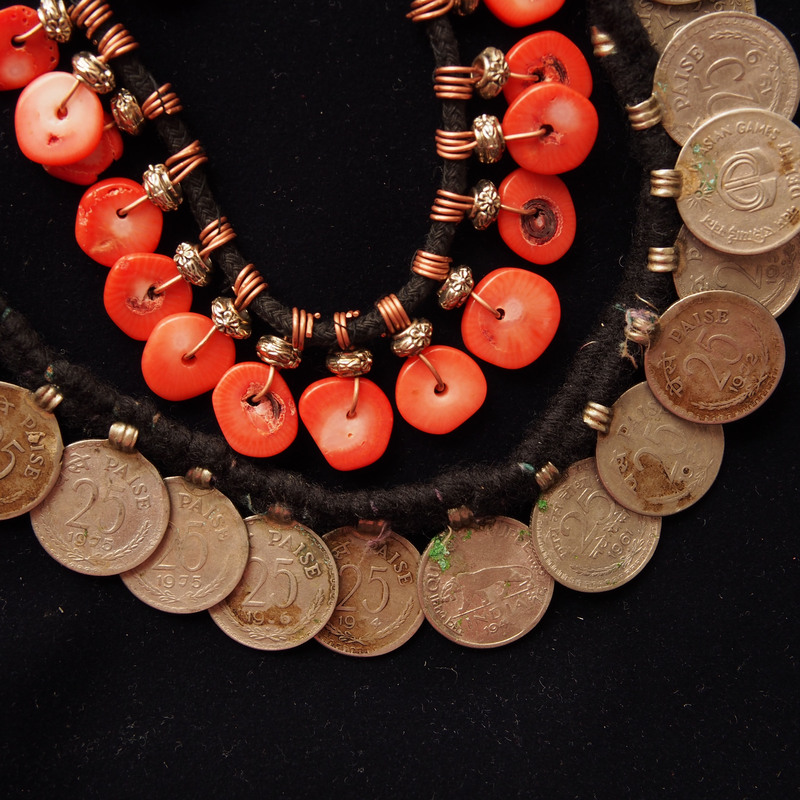 Coins were later used as a memorabilia of travels, keepsake, etc. 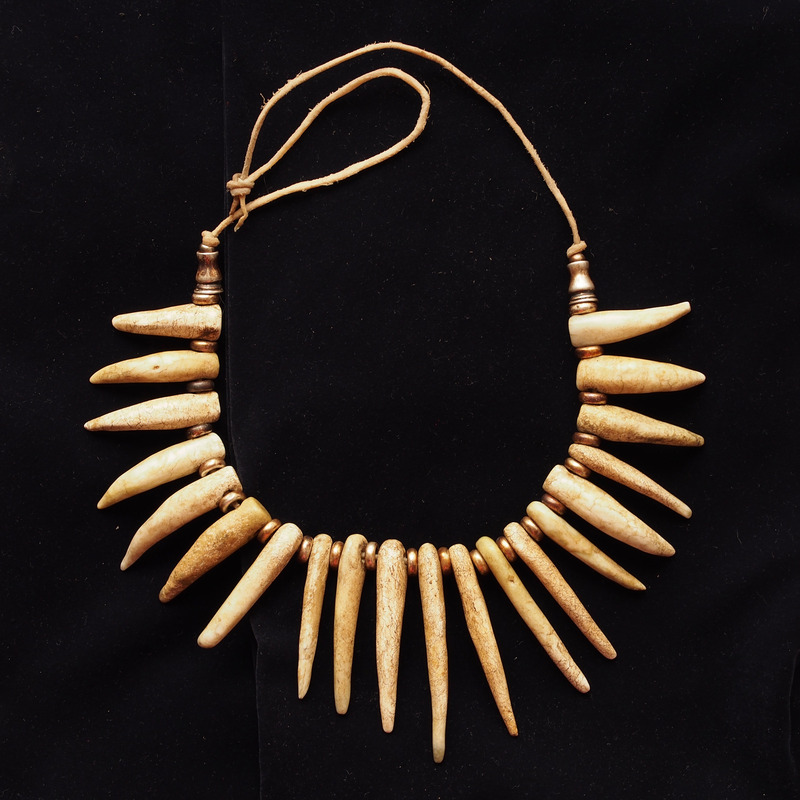 This jade necklace has a certain tribal touch. 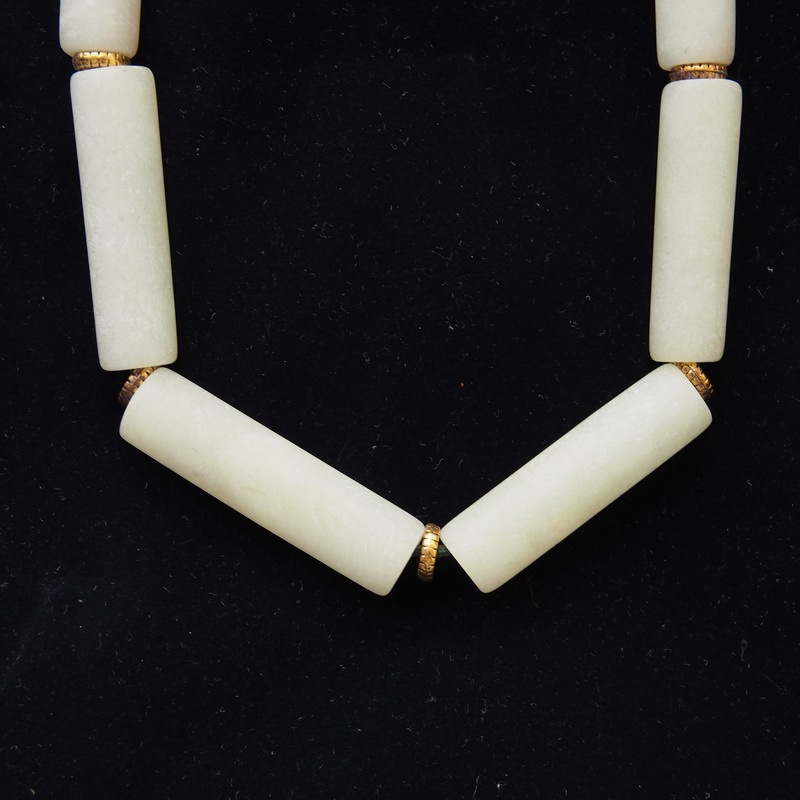 The spike like jade as known as white chicken bone jade.